We offer a professional, reliable and friendly team of Essex NICEIC Registered and PART P approved Electricians. 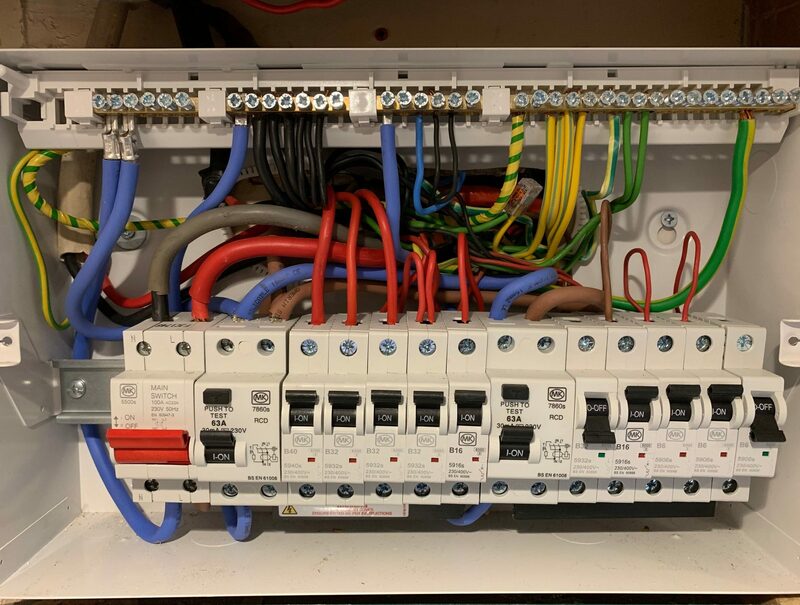 With many years of experience in all areas of domestic, commercial and industrial electrics, we offer a high standard of workmanship at competitive rates. We also offer a 24 hour Emergency Call Out Electrician service. We have over 17 years of electrical experience and are here when you need us to service both your residential and commercial properties. We are fully insured and offer a 6 year warranty on work carried out under the NICEIC Domestic Installer scheme. All our work is carried out in accordance with IEE wiring regulations. We are happy to provide advice and guidance on all aspects of your electric projects, we will never give you the hard sell, and all our quotes are free with no-obligation. We pride ourselves on our customer service and are part of the MyBuilder network. We provide a full range of work on any level of complexity, confidently delivered by our team who consist of highly qualified professionals. Our staff are trained to be discreet and polite so that there is minimal disruption, this allows your staff to continue with their daily work. We are committed to supplying the highest quality products and services to our clients, at the most competitive prices. Please contact us so that we may show you why we are the ideal choice for your next project. All of our electricians are qualified to City and Guilds 18th edition & BS7671 wiring regulations qualified.